In-depth 2013 study: “Israeli academics have been free to engage in ‘nazification’ of Israel. Earlier this week, Education Minister Naftali Bennett caused a huge public uproar when he introduced his proposed “Code of Ethics” for the country’s institutions of higher learning, stipulating rules, or at least, guidelines, for the conduct of lecturers in the classroom. The two principle components of the “Code” appear to be constraints on lecturers, restricting them from (a) promoting their personal political views in class and (b) endorsing the boycott of Israel, in general and from calling for an academic boycott against it, in particular. Bennett’s initiative certainly set the proverbial “cat among the pigeons” across the nation’s academic Establishment—and beyond. Indeed, it was immediately excoriated by all and sundry—including our oh-so politically correct president, Reuven Rivlin—alleging that it would somehow undermine academic freedom and inhibit the vigor of academic inquiry. Indeed, as Dror Eydar notes: “This characterization [of the proposed code] as an ‘attack on democracy’ and ‘attack on academic freedom’ are as much as an insult to our intelligence as they are deceitful”. Eydar’s harsh condemnation mirrors much of my own personal experience but that is something I shall return to shortly. At this stage, however it is clear that Bennett has put his finger on a crucial issue, impacting the tenor of the public discourse in Israel, and judging from the furor that it has ignited, it appears to have touched a raw nerve among the entrenched and entitled academic elites. In this, he has shown considerable courage for broaching the subject boldly and should be warmly commended for spotlighting one of most acute issues afflicting the nation today: The stranglehold of the Left on academic discourse in—and about—Israel. As to the former, there can be little doubt as to both the dimensions and gravity of the problem. As to the latter, there is regrettably considerable doubt as to whether the “Code” is the optimal instrument for addressing the problem—or if it addresses the cardinal components of it at all. Just how grave the problem of exclusionary bias is in the Israeli academe—at least in the Social Sciences and Humanities –is reflected in a comprehensive study of academic freedom in Israel by the widely respected researcher, Professor Ofira Seliktar. Entitled “Academic Freedom in Israel: A Comparative Perspective”, it conducts a comparative analysis of the situation in Israel, the UK and Germany and comes up with several disturbing conclusions regarding the abuse of academic freedom in Israel. She elaborates: “Known as post Zionism, it asserts that Zionism is a colonial-imperialist movement and that its progeny, the State of Israel, is a colonial-apartheid country… Israel is presented as a Nazi-like state and the Israel Defense Force…is accused of Nazi-like behavior”. She then expounds on how Israeli academics harness their position to advance their radical—even anti-Zionist—political agenda: “Combining academic research and political work, post-Zionist academics have engaged in a robust effort to compel Israel to withdraw from the territories; some advocated the return of Palestinian refugees in order to create a bi-national Jewish-Palestinian entity”. This then, is the dire predicament that prompted Bennett’s well-intentioned initiative, and with which it was reportedly designed to contend. 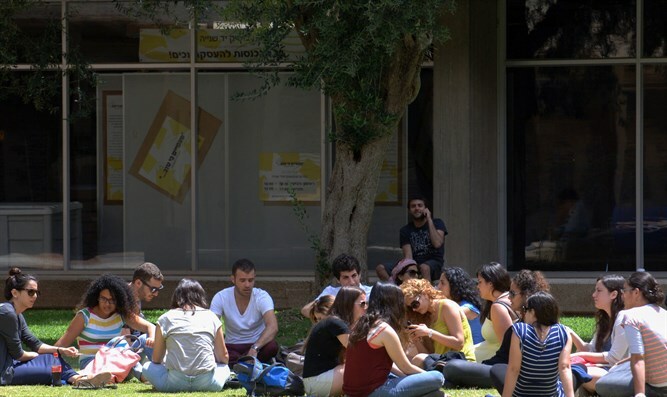 However, as emerges from Seliktar’s study, it is unlikely to address the major detrimental effects prevailing today in Israel’s academic milieu, or the grave damage the ongoing abuse of academic freedom is inflicting on Israel internationally. Of course, I in no way wish to belittle the gravity of the fear of intimidation , even retribution, individual students may feel in the classroom should they have the temerity to challenge the political doctrine expounded by their lecturers. However, at the national level, concern should be focused elsewhere. Here, as Seliktar indicates, the problem is not so much which views are expressed—and which are suppressed—within the limited arena of a lecture. What is most damaging to Israel are those that are aired—or stifled—in academic conferences, journals and mainstream media opinion columns, using academic credentials to lend an air of indisputable authority to views conveyed in them. However, these effects are not addressed by Bennett’s proposed “Code”. Indeed not only does it not even purport to address them, Bennett himself pointed out, in response to his detractors claims that he is constraining academic activity, that in these matters academics will still have unfettered freedoms. It is therefore, clear that despite the accurate diagnosis of the malaise in Israel’s institutions of higher learning, the remedy prescribed in Bennett’s initiative will almost certainly be ineffective. Seliktars’s study underscores that the root of the problem is not so much restricting the expression of political proclivities in the lecture hall, but the criterion for admission to the ranks of academia, and for promotion to senior academic positions. These, too, are issues left largely unaddressed by the Bennett “Code”. To underscore the severity of these two issues, I would challenge the readers to identify any senior tenured academic (and certainly any junior academic seeking tenure) in any major academic establishment, who overtly challenged the Oslo “peace process”, warned of the death and destruction it would wreak on Jew and Arab alike, and urged the Israeli government, publically and persistently, to abandon the perilous path it has embarked upon. I would be more than grateful to learn of the existence of any such redoubtable “renegade”. Moreover, consider the question of promotion. Suppose some intrepid academic rebel penned a brilliantly prescient article, predicting precisely the disastrous course the peace process would follow, the gigantic wave of carnage it would precipitate, the terror it would bring to Israeli streets, cafes and buses; and the deprivation and devastation it would bring to the Palestinian-Arabs –particularly in Gaza. Anyone, even remotely familiar with the atmosphere that pervaded the academic milieu at the time, would know—as a matter of certainty—that such an article, no matter how exhaustively researched and/or tightly argued, would have little to no chance of publication in any major journal in the field of political science, international relations or any related discipline. None of these detrimental defects will be remedied by preventing a lecturer from expressing his/her political credo in class, or by compelling him/her to present opposing perspectives to his/her students. Indeed, how realistic is it to expect a radical left-wing professor to present the views of right-wing conservatism in anything approaching an adequate and equitable fashion?No, the quest for a comprehensive and fundamental remedy must be conducted in an entirely different direction—not by quashing expression of certain positions, but by providing alternative frameworks and mechanisms for the expression of opposing positions that can effectively challenge the dominant (indeed, domineering) paradigm that currently monopolizes the academic discourse. In this I find myself in complete agreement with Eydar, both when he warns: “no ethical code will open the doors of the left-wing monasteries to the right-wing “heretics” who dare to think differently than the pseudo-liberals who dominate them”; and when he prescribes: “The solution is to establish new institutions and think tanks as an alternative”. 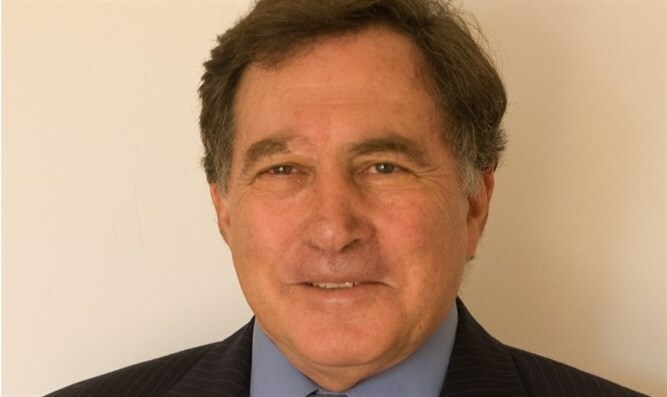 I totally agree and —in the interests of full disclosure—this is the major thrust of my endeavor at the Israel Institute for Strategic Studies, established precisely for this purpose: To establish a “theater of engagement” in which the Left-wing academic elites are compelled to engage intellectual adversaries, and in which their doctrinaire positions can be publically exposed for the dangerous drivel that they really are. Accordingly, I call on the Education Minister to channel his efforts (and resources) into this and other like-minded enterprises. I have little doubt that this strategy—of fostering more robust debate, rather than trying to straight-jacket it—will be far more fruitful in remedying the ailment he so accurately diagnosed.